Also come in bariatric weight capacity 450 lbs. An award winning, innovative, horizontal pivoting and locking bar that mounts to the SuperPoleTM and improves safety with additional gripping and weight bearing support. 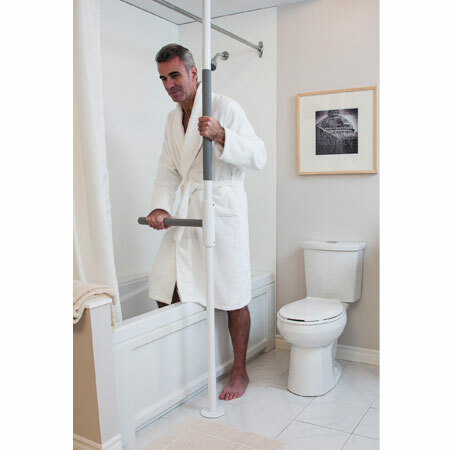 Great for around the bath or toilet, where limited space can make it difficult for a wheelchair, walker, or rollator. Horizontal pivoting and locking bar that mounts to the super pole to improve safety with additional gripping. Super pole with super bar.-Simply turn the screw at the bottom. Expands between the floor and ceiling, creating unparalleled sturdiness and reliability. Rubber pads on the floor and ceiling plates prevent marking, even on stipple ceilings. 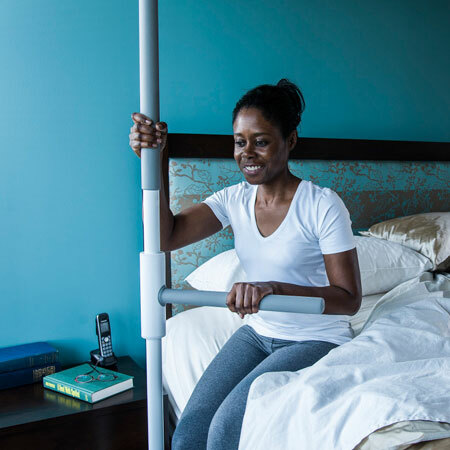 Maximize the use of available strength while a caregiver supervises. 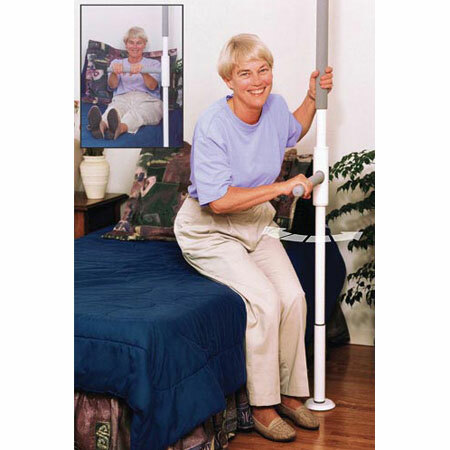 Promotes safe and independent movement. Award winning, expansion fit, floor to ceiling pole. 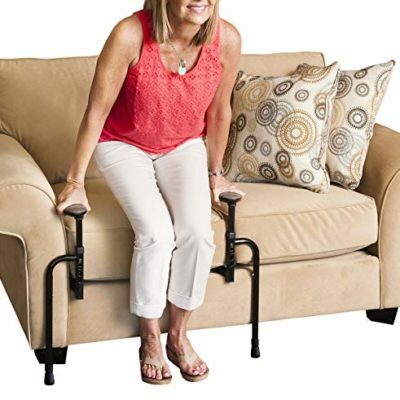 Helpful for sitting and standing and can be installed in virtually any room. Quick, easy and secure installation. 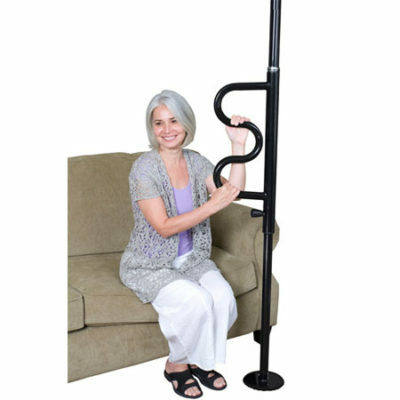 Gentle lift unlocks the bar / Keep the bar up to move freely. Provides 8 locking positions around the super pole for weight bearing support. 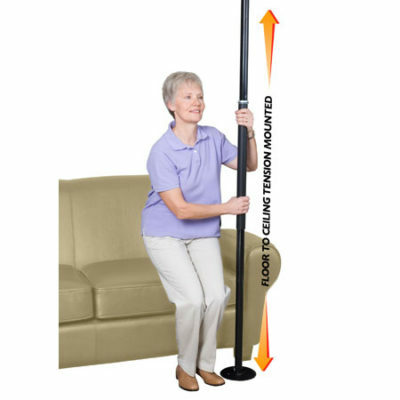 Push or pull on the bar to assist with sitting, standing and moving. Helps prevent a forward fall, the bar will lock if released. Widely prescribed by therapists around the world. Floor to ceiling range: 93-99”. / Base plate diameter: 5”. Heavy gauge steel, anti-microbial powder coat white gloss finish.